The moment you drive your car off dealership lot, it begins to lose value. However, there are several things a new car owner can do to maintain and extend the life of their vehicle. These 5 tips will not only save you money, but they will help to keep your car out of the auto shop. Although engines can typically go longer between oil changes than they used to, there’s no excuse for not having your oil changed regularly. If your car maintenance reminder light comes on, it’s time to get the oil changed immediately. Failure to change your oil and oil filter puts the entire engine at risk. Regular oil changes ensure that the oil is at the correct level. One of the leading causes of tire failure is due to not keeping the correct amount of air in the tires to begin with. Keeping the correct amount of air in your tires actually improves your vehicle’s fuel economy. Checking your vehicle tire pressure is simple, and will certainly assist in extending the life of your vehicle. This tip sounds fairly obvious, but washing your car does more than keep up the physical appearance. Washing and cleaning your car regularly helps to get rid of chemicals that can cause rust and damage. This is especially important for regions that salt is used during the winter months. In warmer climates, things like dust, pollen, and sap can eat into the paint and should be removed as soon as possible. Using a qualified technician for regular maintenance can make a big difference in the life and longevity of your car. Most modern cars have updated features, requiring a technician that has more complex knowledge about your specific car. Regular “check-ups” and maintenance help to keep your car in the best condition year-round. If you are the type of owner that doesn’t want to pay for maintenance out of pocket, then leasing might be a better option for you. Cars that are leased are typically turned in after two or three years, and because they aren’t owned by the driver- the maintenance aspect falls on the dealership. With a new vehicle every few years, consumers are sure to always enjoy the longevity aspect of a vehicle. Uber just recently announced that it is selling its car-leasing subsidiary to tech startup Fair.com. The merger allows for Uber to focus on its core business of providing driver services while still providing their drivers with-out cars the option of leasing. Fair.com will acquire the active lease portfolio of Uber’s current XChange Leasing company. The XChange Leasing program allowed for Uber drivers to lease cars through a number of different dealerships. Fair.com is an online marketplace and application that prides itself on leasing or renting a vehicle as a short-term solution for drivers. As it currently stands, the company only operates in California. With approximately 750,000 active Uber drivers, over 40,000 of them were enrolled in Uber’s direct XChange program. 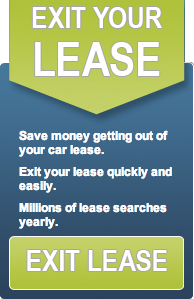 That does not include the number of drivers who may be leasing privately with an independent car dealership. According to a report produced by Edmunds, approximately 1/3 of millennials lease their vehicles. However, in the same report, luxury vehicles were also leased by up to 63% regardless of age. Leasing has proven to steadily increased each year, and is projected to expand even more in 2018. National marketplace websites such as Swapalease.com are becoming more and more popular as an option for drivers who want to do just that- swap their lease. The site gives consumers all around the United States the option of breaking their lease without negative repercussions, ultimately giving the consumer their buying power back in the marketplace. The sale of Uber services to a tech company like Fair.com only suggests that leasing will become a more popular option for the future.